Not everyone wants to only be able to carry their Glock 42 in a deep concealing Glock 42 holster, or just in a pocket holster. Some people want to conceal it at times and wear it proudly in the open at others, such as around the home or at the range. Normally this means having to purchase multiple holsters, but what if you didn't have to? What if you could get a modular holster that allowed you to change configurations as you saw fit? Welcome to the last holster you'll ever need - the Alien Gear ShapeShift. It isn't a holster; it's a complete carry system that will let you carry your Glock 42 however you want, whether it's a Glock 42 concealed carry holster or open carry holster - the ShapeShift does it all. How is it able to do this? By the virtue of our modular shell system. We spend more than two years designing this holster, and devised an innovative retention shell system that allows for multiple configurations. 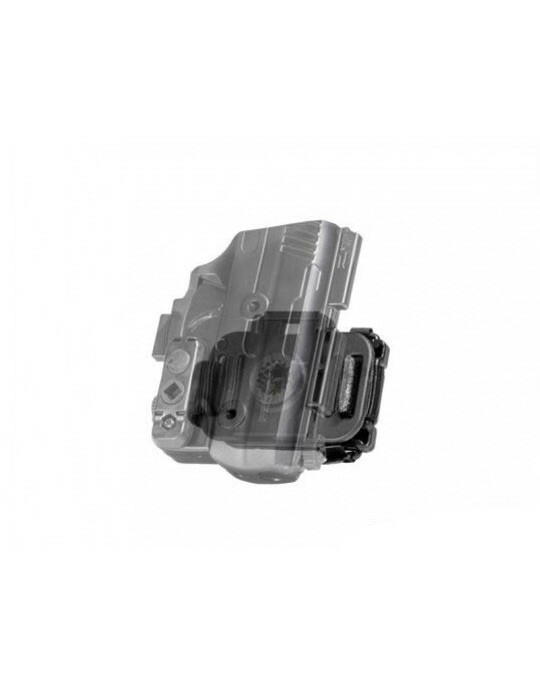 The base Glock 42 ShapeShift kit comes with one full Shift Shell and two trigger guards. The shells fit together with a tooless locking system which includes locking frame rails and twist locks. We also include two backers with a locking station. 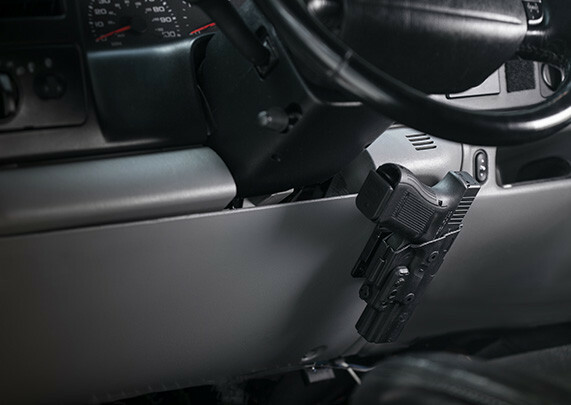 When a trigger guard shell is attached to a full-length shell, this configuration attaches to the locking station on the backer. 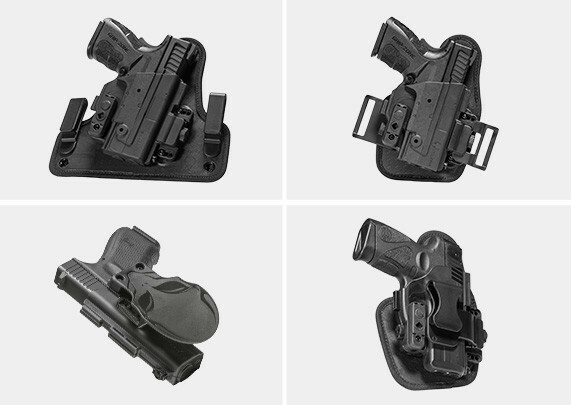 Which backer you choose and the belt attachment determines the kind of holster you carry with. For a traditional Glock 42 IWB holster, attach a full-length and half shell to the larger backer. This backer is very similar to our Cloak Tuck 3.0 holster, and has the same neoprene backpad, Alien Skin top and adjustable belt clips. Tuck into the waistband as you would any other IWB holster, and conceal in comfort. If you prefer appendix carry, which so many people do, attach the same shell configuration to the smaller backer and install the appendix carry belt clip to create a Glock 42 appendix IWB holster. The smaller backer is made of the same materials as the larger backer and will carry in unparalleled comfort. However, if you wish to carry outside the waistband, use the belt slide attachment in lieu of the appendix clip. This configuration is an easy-concealing, high-riding OWB holster that disappears under an untucked shirt or light outerwear; perfect for when you want to conceal without stuffing anything down the waistband. Additionally, a full pancake-style shell can be created by assembling both full-length shells. 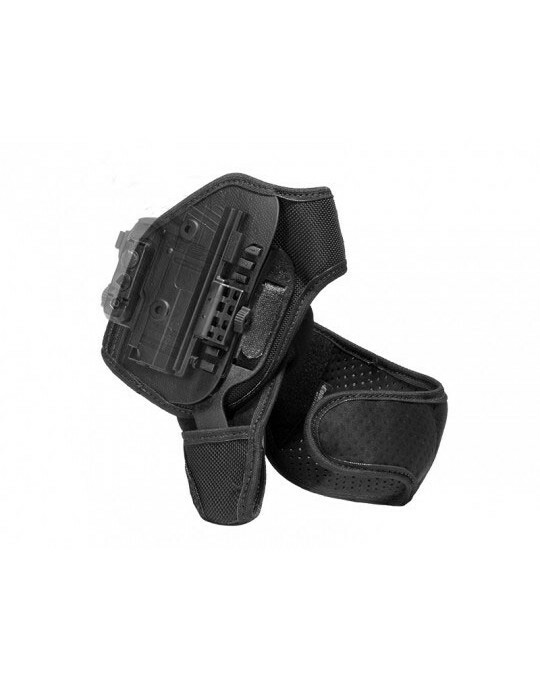 This holster configuration can be attached to a paddle belt attachment for use as a Glock 42 paddle holster, or multiple other ways as well. The ShapeShift comes with adjustable passive retention, or in the full wrap configuration, active retention as well with a thumb release, finger lock, or both. Each ShapeShift holster comes with Alien Gear's comprehensive warranty, including a 30-day "Test Drive" trial period. 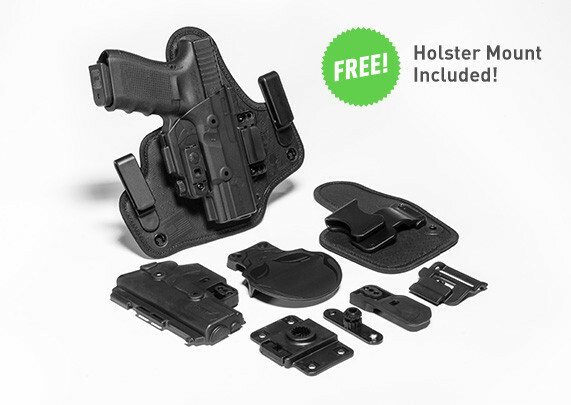 During this time, you can return your holster for a full refund if unsatisfied with it. We think you won't want to take it off. Lastly, the ShapeShift is warrantied for life. As long as you have it, we will fix any issue - regardless if it's due to defect or damage - or we will send you a brand new holster. Period. We stand by our products, and we want you to be able to carry comfortably and confidently with an Alien Gear. Are you ready to experience a whole new world of carry?